"Nature made me a freak. Man made me a weapon. And God made it last too long." Hugh Jackman has made nine appearances as the Wolverine over seventeen years. In that time, I don't think we've really ever gotten to know who Wolverine is until Logan this year. It is Jackman's definitive, and coincidentally final, performance as the feral mutant. It's hard to realize that it took nine movies and nearly two decades to finally understand what drives this hulking, angry loner. However, let's examine how Logan, even though it marks Hugh Jackman's final time playing Wolverine, actually feels like the first real Wolverine movie yet. First of all, before delving into this discussion, please note this will be a spoiler-filled editorial. The only way to concisely analyze this new movie involves delving into the movie's hard-hitting moments, which in return give away some of the narrative. So, if you haven't seen the movie yet, please turn away now. Also, go see Logan right this very moment. Need reviews? Read one, two, or three of them. Still here? All right. When Hugh Jackman first slipped on the claws in X-Men in 2000, no one could have predicted how popular he would be in the role. Sure, Wolverine has always been a popular character in the comics, but Jackman's casting had all the signs of a unique melding between actor and character. The same way Christopher Reeve was born to play Superman, Hugh Jackman was born to play Wolverine. It was also addled by the fact that Jackman's casting came as a result of Mission: Impossible 2 actor Dougray Scott getting injured and having to pull out of the project before shooting. Jackman's casting seemed so serendipitous, like the right confluence of good luck, timing and being at the right moment at the right time. It worked out, and Jackman has enjoyed a healthy career not only as Wolverine but as a great, Hollywood actor ever since. So here we are, now seventeen years later and nine appearances over ten different X-Men movies. The only X-Men related movie Jackman hasn't made an appearance in is Deadpool - which is amusing given a certain pre-credits cameo teaser at the start of Logan. So how does Logan truly, intrinsically explore the Wolverine character in ways the other films haven't? Well, starting off, Logan is above anything else a character study for the character. 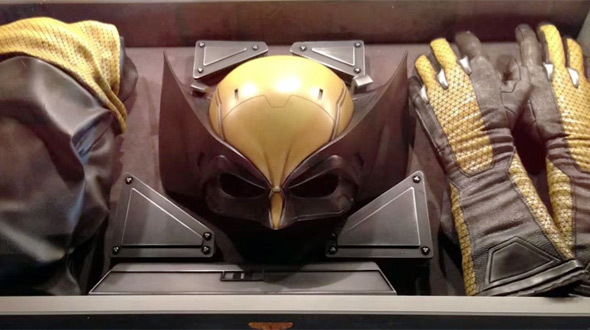 Wolverine in the X-Men films has generally been portrayed as an archetype, one that has changed and evolved over the years as his popularity rose. He started out as an angry outsider and loner in X-Men before morphing into a leader and team player by the time X-Men: The Last Stand rolled around. When X-Men: Days of Future Past first came out in 2014, it was a big reversal on the relationship between Charles Xavier and Logan. In the first X-Men, it was Xavier who was being a mentor figure to a confused and lost Logan. In Days of Future Past, it was Logan's turn to give a younger, more confused and lost Xavier guidance. I would argue Logan (and the filmmakers behind it) wishes to ignore Days of Future Past, which technically erased the events of the previous movies. In order for Logan to truly work, it has to build upon the relationship that Logan and Charles has had over nearly two decades and four or five films. As a result, the relationship Logan has with Charles in Logan is an evolution of the relationship they had in the very first X-Men. Yes, Logan is taking care of an ailing Charles, but even with a confused mind he is still dispensing advice and guiding him to embrace the better parts of his true nature. Some might see it as an extension of their dynamic in Days of the Future Past, but I would argue the relationship in Logan only works if you somewhat ignore that film and instead focus on most of the other films that came before. In a way, you can enjoy Logan without having seen any other X-Men film, but Logan works on a different level because of the history between these two characters. Logan is also the first time the character hasn't been portrayed as an archetype. As soon as the movie begins, it is clear this is a Logan we haven't seen before. I'm not even talking about the violence, which does add to the proceedings and I'll touch on that in a bit. He's taking pain killers, he's an alcoholic, he swears when he's angry. He's sick, possibly even dying. He's not really living, but moving from place to place, doing a job he doesn't even like, and being dismissive of anyone who comes along and needs help. Logan has always worked best as a loner, but as a loner who wears that title reluctantly. He has always been someone that doesn't want to admit he craves the very thing he would openly deny to anyone who asked. In essence, a family. I would argue the big theme driving most of Logan is exactly that: family. X-23, or Laura, is very much a daughter to Logan. For the first time in the character's cinematic history, he has a responsibility to someone unlike any other. This dynamic has been somewhat hinted at in other films, such as Logan and Rogue's relationship in the original trilogy. Logan takes those ideas and really fleshes them out, in ways no other previous X-Men or Wolverine film has done before. For much of Logan, Logan is a character trying to deny what he truly wants. He's lived a very traumatic life and has had to presumably watch every person he's cared about die. He keeps people at a distance, such as Caliban. So, the very idea of a daughter is very unnerving to Logan for multiple reasons. This forces Logan to care about someone. He takes care of Charles, but as much as he does, Charles is really the one taking care of Logan. Logan doesn't initially know how to react to Laura, who in many ways is the spitting image of himself. In some of the film's best scenes, he has to find a way to relate to this feral, angry girl. When he was mentoring Rogue, he was dealing with someone who was ultimately different than him, besides sharing the characteristic trait of being a loner. With Laura, she represents something for Logan that he's never had to deal with before, and in that struggle allows us to really understand Logan in a way we've never been allowed to previously. As Logan and Laura continue get closer (while on the run), Logan begins to realize his attachment for the girl. In one of my favorite scenes from the film, Laura gets the sense that Logan is going to bail once they leave Eden. Logan basically tells Laura that killing comes with a price, and that anyone he's ever cared for, such as Charles, has suffered the consequence of him being in their lives. He doesn't want that for Laura. However, Logan is a character who cannot help but intrinsically needs to help others. There's a moment in the film where Eriq La Salle's character Will Munson and his family require assistance. Logan is hesitant to help, saying "someone will come along." Charles tells him very simply, "Someone has come along." If Logan is about anything, it deals with the consequences of violence and the physical and emotional toll that has. For the first time in the character's history, he is starring in a film that was conceived, shot and released with an "R" rating. The film's ultra-violent tone is not a tacked-on addition just because Deadpool was successful. The darker, more violent tone is absolutely essential to Logan working as strongly and as well as it does. As Logan fears, violence comes to the family he helps on the road. It also comes for Charles, in a heartbreaking moment full of consequence. As Charles was always the one who pushed Logan to help others, his last words involve reminiscing about a mistake he once made, which resulted in the deaths of countless others. It is tragically fitting that Charles is killed by X-24, who he thinks is Logan at the moment. Logan explores the consequences of violence, and in order for that to have any weight or thematic impact the violence absolutely needed to warrant that kind of introspection. Logan cannot escape a life where death and violence comes to anyone he crosses paths with. He tries to save Laura by further distancing himself from her, even though his innate desire to help bursts through sharper than his claws. 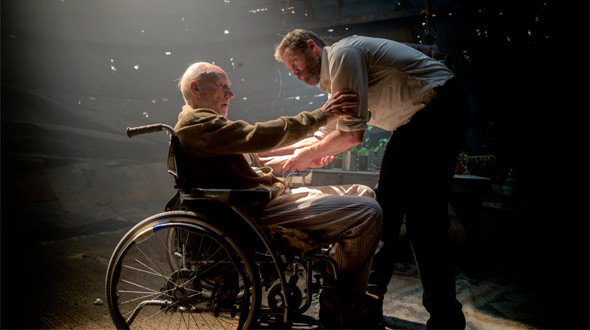 He realizes, though, that in order to live life, as Charles advises in one of his final moments with Logan, he has to feel life. Like any good Western or superhero story, Logan understands that a story can be dark, gritty and relentlessly violent, but at its core it needs to be about hope. Logan is, at its core, a story about hope and redemption. It also works so fundamentally well because, unlike most current superhero/comic book movies, Logan tries to tell a singular story that isn't beholden to X-Men continuity. It's not trying to set up future stories. As a matter of fact, it acts as a perfect send-off for Jackman's Wolverine and Stewart's Charles Xavier. 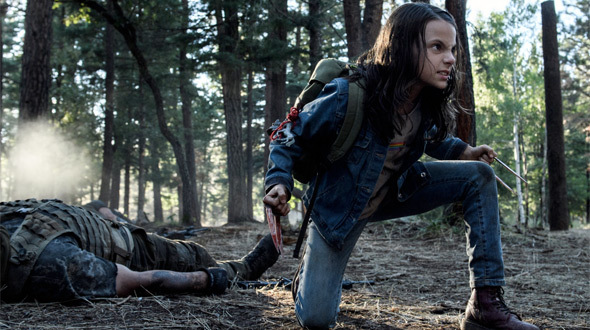 With the restrictions of continuity unburdened like shackles, and with a rating that allowed the filmmakers to tell the story they truly wanted to tell (see Alex's interview with director James Mangold for more), Logan shines as an exceptional example of how a superhero story can transcend genre. There are some truly devastating and heartbreaking moments in this film and they work solely because audiences know they aren't going to be undone in the next film. So when characters make decisions, or when they leave us, it truly has an impact. The reality is that the nature of comic book storytelling, which is often episodic and continual, sometimes doesn't work for films which eventually have an ending. When you read a comic-book, you normally don't get a definitive end - even when a series finishes. If a series is ongoing, you wait for the next issue for a dangling plot thread to be resolved. The characters are going to come back, even if they die in an issue. At this point, both Marvel and DC have been rebooted so many times it is hard to keep track. So when Superman dies, it might be momentarily depressing - but you know he's not going to be gone forever. Which is why when he does die in Batman v Superman: Dawn of Justice, I felt emotionally manipulated. I knew Warner Bros wasn't going to kill him off so early in the series, so his death felt premature. My reaction was not emotional, but one of mostly annoyance. The Marvel movies commit this act of emotional manipulation much worse, however. At least Superman stayed dead when the credits rolled on Batman v Superman. In most Marvel Studios movies, characters won't even stay dead for the movie in which they die. Case in point, Nick Fury's "death" in Captain America: The Winter Soldier. It removes any real emotional impact, and the lack of consequences result in movies that don't feel like movies, but just another comic book issue. 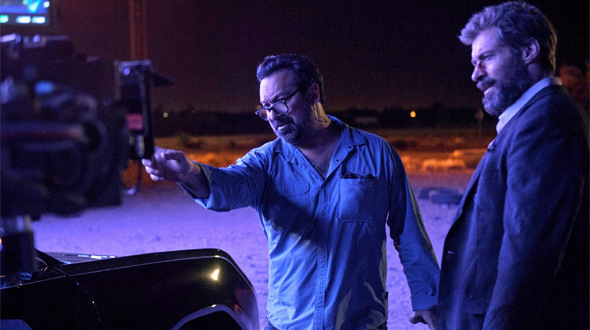 Logan, directed by James Mangold, is a game-changer because it knew, from the very beginning, what it was going to be. Mangold, his writers (Scott Frank and Michael Green) and Hugh Jackman had a very clear idea of the story they wanted to tell, and they succeeded. So when Logan ends, there's a sense of definitive closure that you don't really get reading a comic or even watching a modern comic book movie these days. If we're also talking about similar comic book movies, Christopher Nolan's The Dark Knight Rises almost feels safe and pedestrian by comparison. Bruce Wayne's "death" at the end and his eventual reveal feels like a cheat, a thematic ploy to trick the audience into thinking one thing and then revealing another. With Logan, though, there are no cheats. When characters die, they die. There are consequences to actions. When our main heroes try to escape by hitting a fence, the fence doesn't fall away like it would in a typical action movie. Logan isn't always effective at what he does, and as a result of that we feel like he's in actual jeopardy in the film. The theme of consequence is something Logan tries to explain to Laura, but it is Laura that ends up teaching something very valuable to Logan: it is okay to love. In one of the most emotionally devastating scenes, Logan dies knowing that someone cared for him, that someone learned from him, and he can die passing on advice to someone who will take that advice and hopefully be a better person. He doesn't die as a loner. He dies as a loved father. He has lived. In Logan, the character lives for the very first time. It's one of the most affecting scenes in the film, and it shows Logan's true trajectory over the course of these movies. When he starts the film, he is someone who rejects the very idea of helping others, especially after all these years. When the film ends, he is someone that has not only helped someone and countless others, he is someone that has made peace with the life he's lived. Logan is a tremendous film with hard-hitting consequences and themes that speak to the very core of some of the best X-Men comics - themes of sacrifice, redemption and hope. Even the inclusion of an X-Men comic in this world has a nuanced level of meaning. Most of all, Logan is the first time we've learned just who Logan really is. It's a fitting send-off for Hugh Jackman, and a fitting send-off to one of the most beloved cinematic characters of the last two decades. Here's to you, bub. What do you think? Do you agree that Logan finally gets the character right?